During the 24th to 26th January 2017, KidsOut once again attended at the British Toy and Hobby Association’s Toy Fair at London, Olympia. 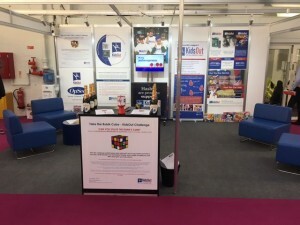 As the official charity partner for the Toy Fair since 2016, KidsOut had a stand at the three-day event among hundreds of exhibitors from the toy industry. 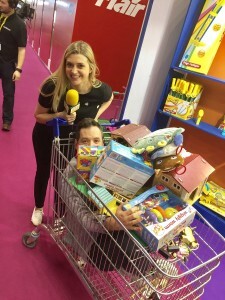 The fair always ends with the famed Trolley Dash, in which the fair’s charity partner is able to pass through the stalls for half an hour and collect as many toys as they can from the stall-holders. Exhibitors were once again given the opportunity to donate their remaining stock to KidsOut. On the 26th January, over 60 volunteers came along to take part in the Trolley Dash, using 50 trolleys kindly donated by the local Tesco superstore to ensure as many toys were collected as possible. Over 4,000 toys were collected during the half hour dash, all of which will either be distributed to refuge homes for use in playrooms, or used in the ongoing KidsOut Toy Box service throughout the year. KidsOut works with Women’s Aid Federation refuges across the UK to offer fun and positive experiences to children who have escaped domestic abuse, including Fun Days out and toys for playrooms. Each year, over 20,000 children flee domestic abuse to seek sanctuary in a refuge. After some 6-12 months rebuilding their lives and confidence, many of the families are then relocated to a new home. To ease the stress of starting again in an unfamiliar area, KidsOut provides these children with a box of brand new toys to bring fun into their lives when they need it most. 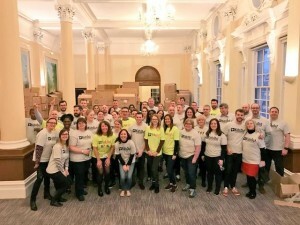 KidsOut would like to say a huge thank you to the following companies for volunteering at the Trolley Dash, helping to secure 4,000 new toys for the charity: Interr, Allianz, Advanced Boardroom Excellence, Direct Line, Ciena, Edutainment Licensing, Giglets, Domestic & General, and several of the KidsOut trustees. 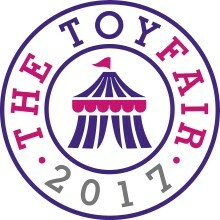 Click here to view the 2017 Toy Fair video on the KidsOut YouTube Channel.